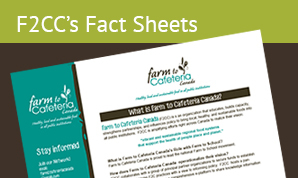 This set of 5 informative fact sheets concisely covers a great deal of important information. 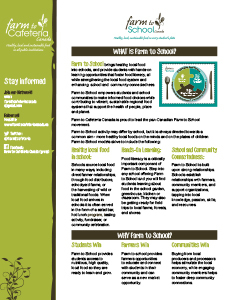 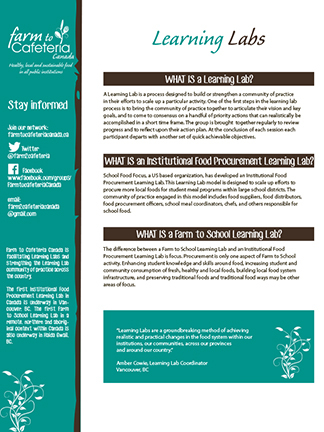 Primarily acting as a set of simple ‘two-pagers’, these documents offer a focused form of communication to those who are unfamiliar with Farm to Cafeteria Canada, and how it is unique, yet aligned with the Farm to School movement. 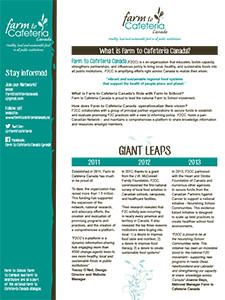 The documents detail historical steps, contact information, impact statements, as well as a list of partner organizations. 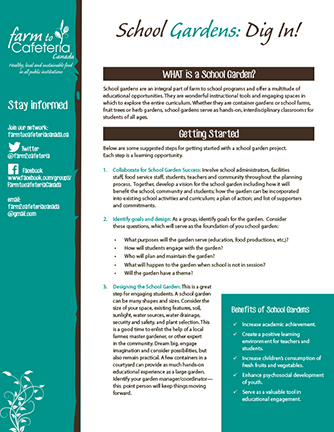 Two documents that showcase the evolution of the program, and how to initiate such programs in your own schools -and communities – is of particular value. 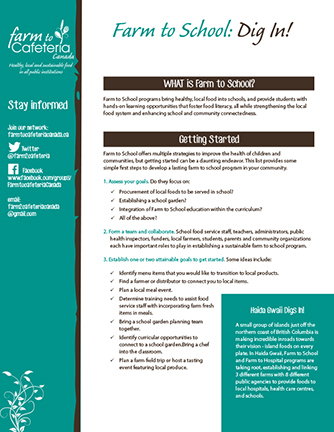 These documents are useful as an introductory to Farm to School programs, yet provide direction for those looking to expand, or implement new programs.